Perfect for a three-day weekend, the Mountain House base area has lodging fit for those who would rather spend those crucial morning hours on the slopes instead of the car. 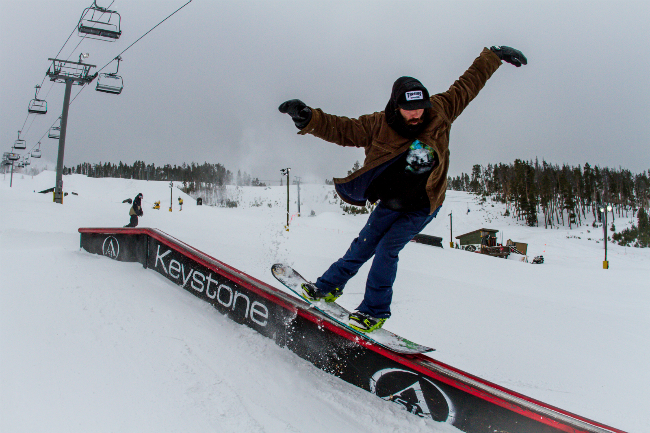 Save money and time by staying at Keystone’s Mountain House base area, offering both budget-friendly and top of the line accommodations. If you’re anything like these guys, you would grab a few buddies and split a room at Slopeside Condominiums by Keystone Resort Property Management, starting at only $97 a night when you stay 2 nights or more. Now, let’s take a look at why Greyson, Morgan and Jaron chose to stay at the Mountain House base area. Comfy Rooms with Efficiency Kitchens: Wake up, stretch, and brainstorm goals and aspirations for a long day in A51 Terrain Park. 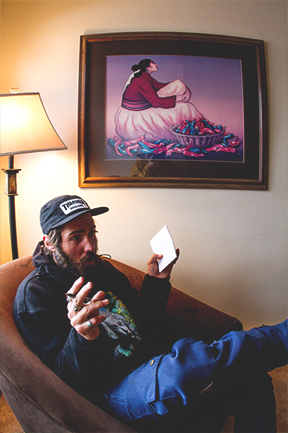 Walk to the Slopes: All Mountain House lodging options are within walking distance of the lifts. 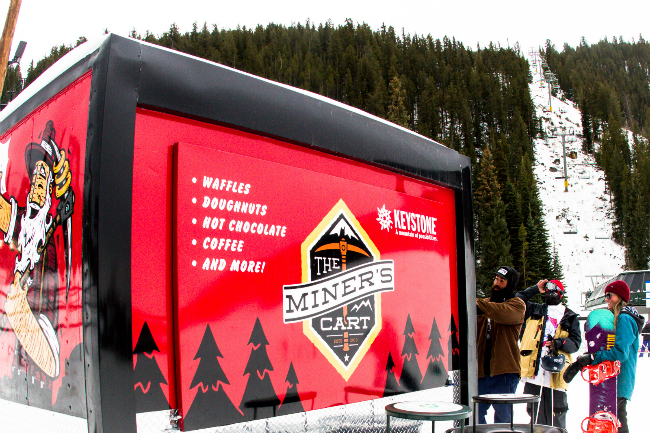 Slope Side Breakfast: Fuel up with a delicious breakfast from the Miners Cart or Mountain House Ski Cafeteria. 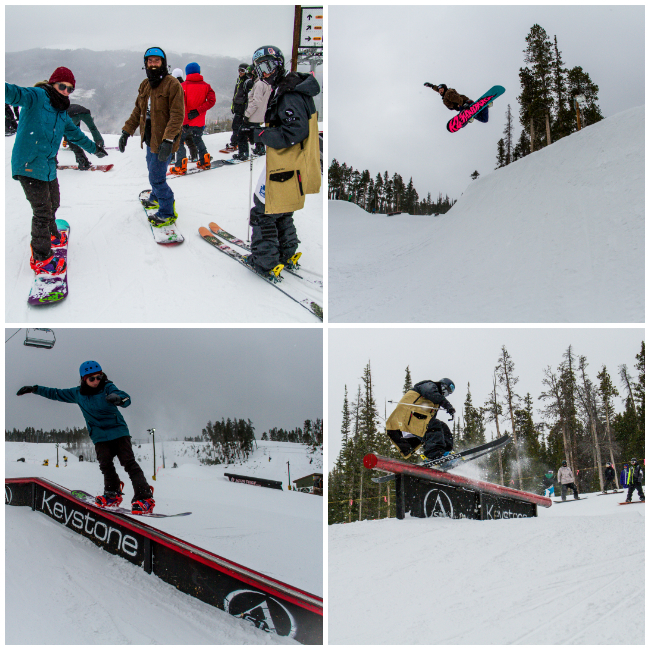 Lift Access to A51 Terrain Park: You’re just one lift away from what Freeskier considered “a jibber’s delight. Spin quick laps on the A-51 double chair and get your groove on in Freda’s Incubator, packed with smaller-sized rails and boxes; Park Lane, home to a medium-sized jump and jib line; or Main Street, known for its triple set of massive jumps.” Stuck at work during the day? Eek a few laps out of the day with night skiing and riding, open in the park until 6pm during night operations. Apres Last Lift Bar: Save the best for last! 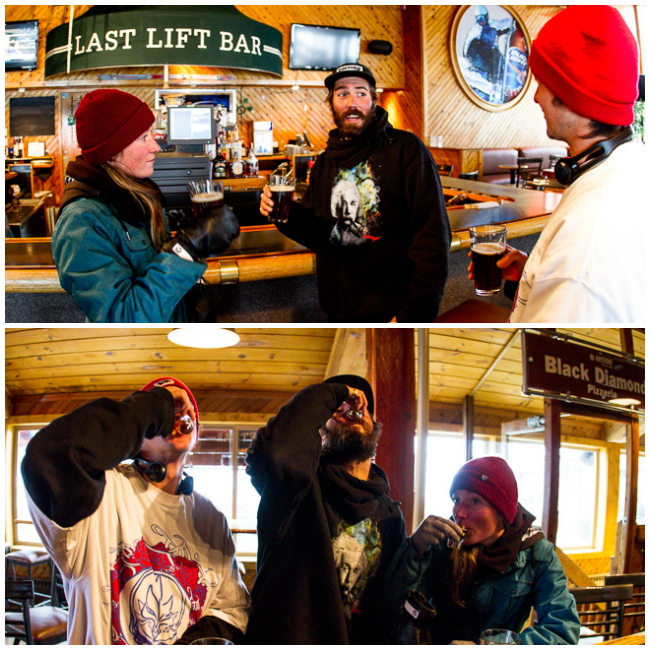 Arguably the most fun Apres Ski hang out at Keystone, the Last Lift Bar has a great deck for enjoying a cold beer after a day on the hill. Live music from the Swing Crew as well every weekend! Poised at the base of Dercum Mountain, the Mountain House was Keystone’s original mountain base area. We have a multitude of lodging options, ranging from budget friendly studios, to family friendly townhomes. Lodging here is convenient to all skier services including childrens ski school, retail shops, casual dining, a youth zone complete with an arcade, lift ticket office, the Argentine Lift and Peru Express providing access to the A51 Terrain Park. For more information and to book with us today, click here. Pool and Hot Tub with every lodging option except River Bank Condominiums. Click here for more property details.